Burns Coltsfoot is a complementary food for rabbits, guinea pigs and other small rodents. Excellent for support of the respiratory system, Coltsfoot is a great accompaniment for hay to make their meal a bit more exciting. 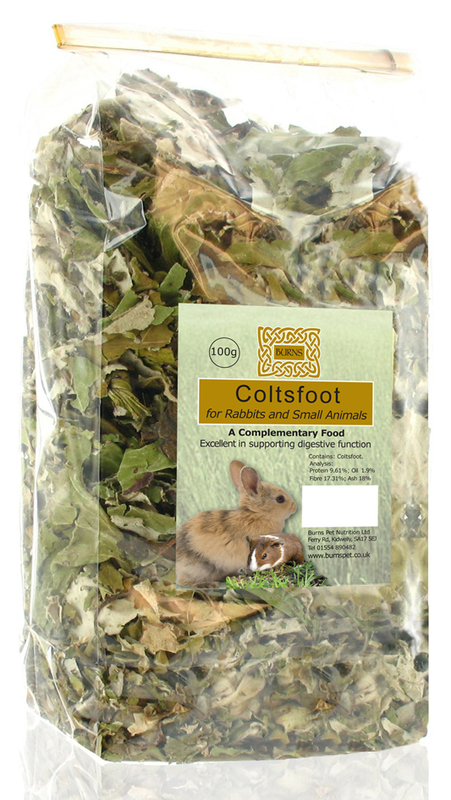 There are currently no questions for Burns Coltsfoot Small Animal Food - be the first to ask one!